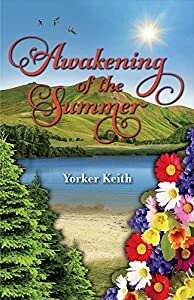 James, an economist at a Wall Street firm, takes a summer vacation at a hotel in Oberon Woods, New Hampshire, where he meets two beautiful sisters: Sophie, an editor of a law review magazine, and her younger sister, Kelly, a secretary at a museum. James is attracted by Sophie's intellectual beauty while he is infatuated with Kelly's ardent charm. But he finds out both women have their own boyfriends. James's pastime is oil painting. He begins painting a pastoral landscape of a lake near the hotel with the majestic Mount Washington in the background, adumbrating the green world. He decides to paint two additional pictures, one of Sophie and one of Kelly using the same scenery. He titles the three paintings the Summer Lake Series. David, an ambitious lawyer, visits Sophie. Their encounter ends in her mysterious near-drowning. James rescues her. Seeing his bravery, Kelly falls in love with him and becomes his lover. Sophie also falls for him―Kelly finds this out. Steve, a son of a wealthy family, visits Kelly and proposes to her. She decides to return to Steve to give James to Sophie. Hearing about the relationship between Kelly and James, Steve rejects Kelly. She has a car accident but survives. Sophie, Kelly, and James reach an understanding that James is Kelly's lover. One evening at the hotel, there is a show opening of James's Summer Lake Series, attended by many hotel guests. James, Sophie, and Kelly become celebrities. They are all intoxicated with the fame. That night, while Kelly sleeps, James and Sophie end up making love. The following day, David and Steve visit the sisters again. Thus, the triple love-triangles continue, at the center of which James strives to make the situation best for both Sophie and Kelly, as dark secrets of each sister are revealed. What links a massive theft of explosives, a missing ATF agent, and the two largest Texas Universities? After the local investigation stalls, FBI Tracker Adrian Dillard is sent to Texas to find out why. When every lead ends with a dead body, his uncanny intuition kicks into high gear. Who knows more than they are telling? Is the missing agent an unwitting victim, or the deadly mastermind? Who is staying one step ahead of him? The missing agent’s fiancé, a Laredo Homicide Detective, may have the answers, but Tracy Harlowe’s not talking. The secrets the impetuous detective is hiding could get her killed. A chilling discovery puts Homeland Security on high alert. The President is demanding answers Adrian doesn’t have. When Tracy disappears, Adrian knows he’s running out of time. There’s only one question left. Wife, mother, spy. Anna is hiding a dangerous secret. A secret her Confederate General husband and his colleagues would kill to find out. Even so, it is not Anna’s covert work for the Union that she finds the most daunting. It is keeping Kady, her selfish Southern belle daughter, quiet after she finds out Anna’s secret. With all her suitors away fighting, Kady proclaims that spying sounds like an excellent war time diversion. Horrified that the involvement of her manipulative daughter will lead to the downfall of her entire spy network Anna blackmails Kady into silence. It is only when a life hangs in the balance that Anna relents, ushering her daughter into the duplicitous dance of espionage. 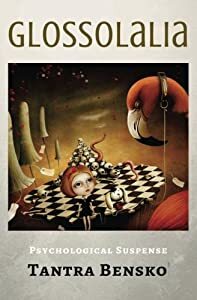 But now that her path has been irrevocably chosen, Kady is forced to reconcile her childish perceptions with the realities of a dangerous world. 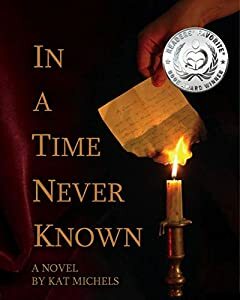 Through rich historical detail and unforgettable characters, In a Time Never Known casts Anna and Kady into the bloody fray of one of the deadliest wars in our history. They must defy the expectations of their era and reinvent what it means to be a woman. But first, Anna and Kady must learn to work together, to save not only their country, but their very lives. *Inspired by Elizabeth Van Lew, and the countless other female spies of the Civil War. Eye of the Moon is a gothic mystery of the finest order, Eyes Wide Shut meets Agatha Christie. It s gripping, intense, thorough. Everything I wanted in a thriller and then some. This was such a surprise. If you like big house mysteries, Downton Abbey and Cluedo who done its , you will love this. Eye of the Moon kept me engaged from start to finish. I read it in three days. 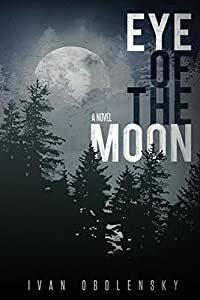 Eye of the Moon is a well written, enjoyable gothic mystery filled with secrets, treasures, twists and turns, and the paranormal. "Truly magical! 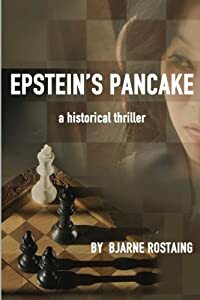 A compelling story, with an original plot full of mystery, colorful characters and unexpected twists and turns, that keeps the reader in suspense until the very end. This story held me spellbound throughout. Eye of the Moon is a delightful suspenseful adventure into a world of aristocracy and mystery. Lively conversations, wonderful, diverse characters and vivid detailing gives one a feeling of being there. Overall this is an intelligent read that keeps you turning the pages. I could not stop reading as I was entangled in the many twists and turns, a fun and unforgettable read. True to the promise it makes, it s a book that kept me reading well into the night. It s incredibly suspenseful and full of great conversations and characters." It was a wonderful escape. The characters so solid and intriguing, the location and relationships absolutely entrancing. I enjoyed reading it so much that I have already picked it back up! I could not wait to be back at Rhinebeck with my friends Percy and Johnny. The book is closed, the weekend at Rhinebeck is over, and I don t want to let go of the sense of mystery and magic that permeates the story and all its intriguing characters. This is one of those books where you'll have a sudden realization while flying through the pages that you don't want the book to end. If there ever will be a sequel to this book, I'll definitely read it. Selkie Moon is a woman on the run. 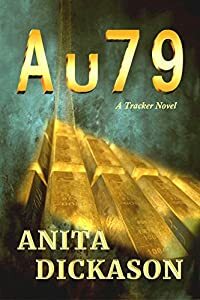 In a mad dash for freedom she’s escaped her abusive husband and reclaimed the name her dead mother gave her -- but her refuge in Hawaii begins to unravel and she’s running from something else entirely. A voice in a dream says: Someone is trying to kill you. Not that Selkie’s psychic, no way. But the threats escalate and the visions mount. Is a ghostly woman stalking her? Entangled in local superstition and folklore, the clues become so strange and frightening they begin to lift the lid on long-buried secrets. What really happened on the beach thirty three years ago? Why did Selkie's step-mother rename her Elkie? And why won’t her father talk about it? As her reality crumbles around her, Selkie’s instinct is to keep running. Because if she stays she must trust her psychic twinges and question every assumption her life is built upon – before time runs out. Thus begins a journey of self-discovery that takes her around the globe to uncover one secret after another … and summon the courage and resourcefulness to survive each one. 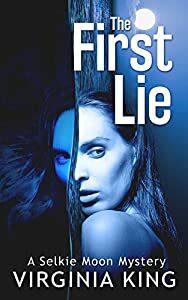 If you love stories of self-discovery with a woman under pressure and a hint of magic realism, you'll adore The First Lie. Winner of a BRAG Medallion and a Readers’ Favourite Silver Medal for Intrigue. Desperate to remain pain-free, Sidney embarks on a mission to exonerate an innocent man. With a ruthless killer at large, she soon discovers the crime is more than a simple whodunit when dangerous scenarios unfold. 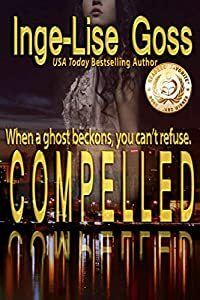 The dead woman’s spirit relentlessly pushes Detective Langston to solve the crime and correct an injustice ”" or forever be tormented by an invisible bullet wound. Scroll Up And Grab Your Copy Of Compelled Today! A Reader's Favorite Bronze Medal Winner. Suppose the truth about UFOs isn't out there; it's here. Suppose all of us - UFO believers and nonbelievers alike - are wrong. Suppose that one day, after covertly studying the UFO phenomenon for decades, the US Government learns it was wrong to have assumed that UFOs are of alien origin. Suppose the truth is something just as bizarre and even more consequential than the arrival of aliens. Their interest in UFOs renewed by an incident at work, entry-level CIA employee Dave Reed and a coworker set out to a small town where residents have seen mysterious lights in the sky and people have disappeared under unusual circumstances. By the time he leaves town, Dave is convinced that aliens were responsible for the strange events that had occurred there. Upon his return to work, Dave's life is turned upside down when a bizarre string of events results in him being accused of espionage. In an attempt to prove his innocence, he agrees to undergo high-tech interrogation and hypnotic regression. 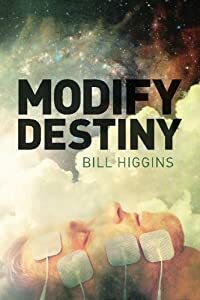 While in an altered state of consciousness, Dave tells a terrifying story that's practically impossible for his interrogators to believe, even though the infallible machines connected to his head and torso indicate that he has to be telling the truth. Lester Garrett thinks he knows all there is to know about UFOs. After all, he's a senior operations officer for an ultra-secret government project that investigates UFOs and alien abductions. What else could there be? He discovers there's more to the UFO phenomenon than he has been led to believe when he and Dave Reed cross paths. It's the end of the Reagan years, with Iran-contra still smoldering, and G.H.W. Bush looking like a winner in the ‘88 elections. 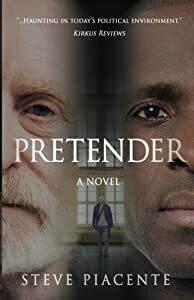 Rob Price is a Nam vet with attitude who's lost his Wall Street job and takes one with a small obscure government agency. When he smells Mossad and a fellow agent is killed, he disappears himself with a satchel of black money. When he turns whistleblower he finds himself with a corporate tiger by the tail and a Eurasian martial artist girlfriend that other guys envy.